Lawson Marie was born on February 11, 2015. 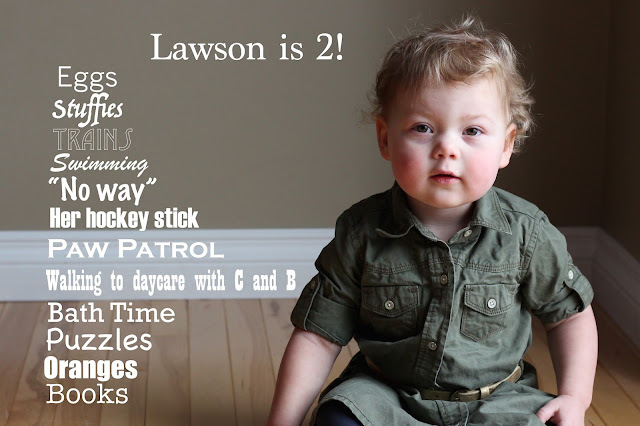 Lawson is growing so quickly. 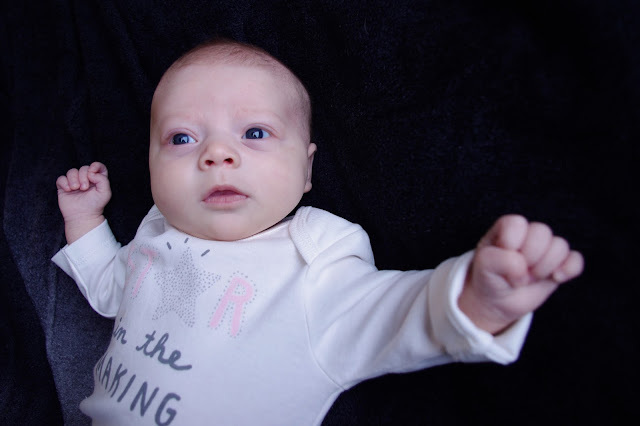 She is a month old in this picture, but is already 7 months. Lawson slept through the night at 2 months. 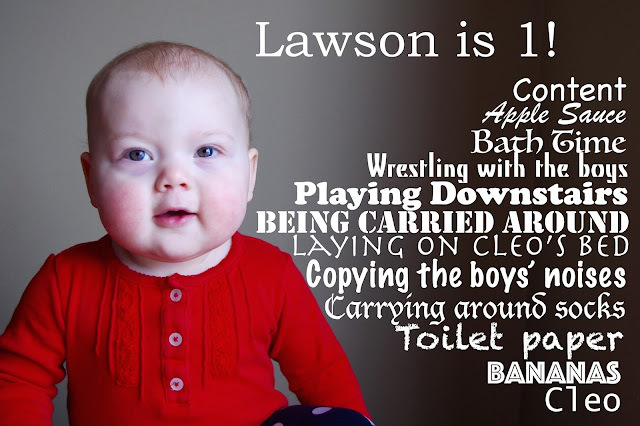 Lawson has the best cheeks ever, is tight with smiles and giggles, and loves to be held by anyone. Lawson is the light of her brother's eyes. They can't get enough of her (and neither can we)!